The name Madden invokes a lot of feelings when it comes to NFL football fans -- legendary broadcaster, Hall of Fame coach and an annual tradition. That tradition is the granddaddy of all sports video games and each year new features are added so that it stays at the top of its game. 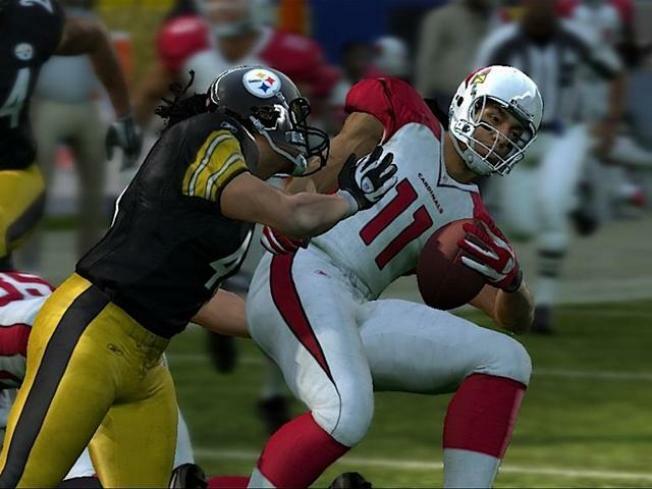 This year the greatest changes are found in the Nintendo Wii version of Madden NFL 10 from EA Sports. Check out the embedded video clip to see some of the new features. The game has been essentially rebuilt from the ground up and with a different visual aesthetic than you’ll find in both the Xbox 360 and PlayStation 3 versions. New player models and animations -- played in either classic 11-on-11 action or even a 5-on-5 competition -- allow you to point, click and chuck it to your targeted receiver, which admittedly might be more compelling to Madden newcomers. Veterans of the franchise will likely lean toward the more refined controls that the Xbox 360 and PS3 provide. Yet fans of the Wii should know this isn’t a dumbed-down version of the game, it’s more that the overall playbook is a bit more limited. Still, features like Madden showdown (a 1-to-4 player tournament) show off what the Wii does best, facilitating a family-friendly experience. No longer a third string option, the Wii version has come into it’s own. While as a pure sim across all platforms very little can approach this series in the realm of sports video games. Laurence Scott was classically trained with 10-Yard Fight on the NES.